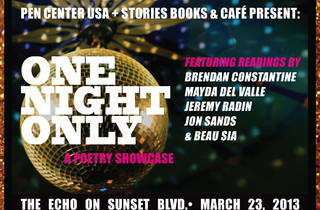 It's an evening of electrifying literary readings with people who have a way with words. 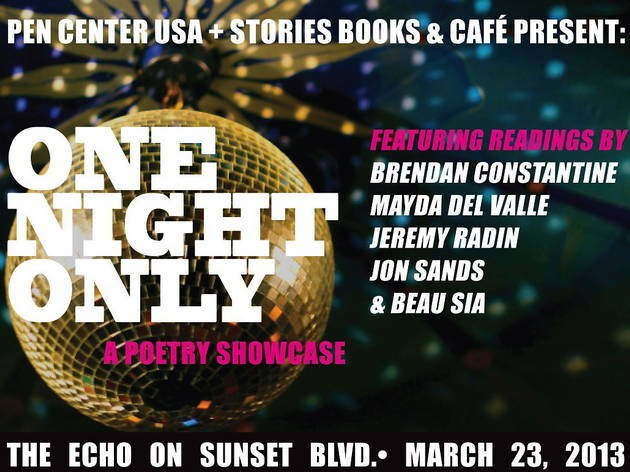 Hosted by the Pen Center, One Night Only will showcase the works of five poets: actor Jeremy Radin, poetry professor Brendan Constantine, Brooklyn-based author Jon Sands and Mayda del Valle, who has performed for President Obama. Listen as they turn words into art and showcase their different talents. Remember, it's one night only.